Changes are being made to Alberta’s Feeder Association Loan Guarantee Program to help support competitiveness and growth in Alberta’s livestock industry. The Feeder Associations Guarantee Regulation is being amended to increase loan limits from $1 million to $2 million and increase the amount member associations can receive in advance based on the value of their livestock. The Feeder Association Loan Guarantee Program supports favourable lending rates for producers to buy, feed and sell their livestock. Government provides loan guarantees so that cattle feeder associations can negotiate better lending rates from financial institutions. Increasing the individual and joint membership loan limits from $1 million to $2 million lets feeder associations distribute their fixed costs across a greater number of livestock and provides increased access to capital. Increasing the maximum equity advance for risk-mitigated cattle from 50 per cent to 75 per cent gives members of feeder associations access to more equity to generate more favourable cash flow for their operations. In 2016, the Alberta government increased the provincial loan guarantee to $100 million from $55 million for feeder association members buying and feeding livestock for market. 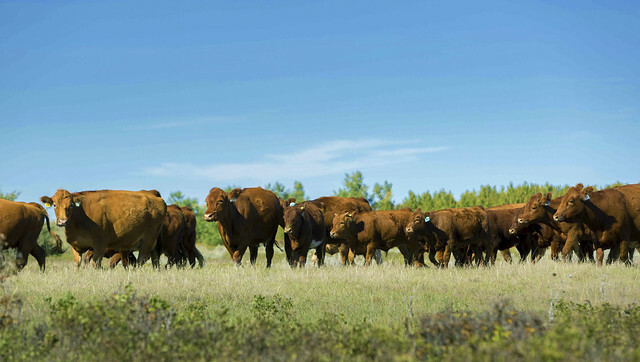 Alberta is the beef capital of Canada, with more than 40 per cent of the national herd, making the cattle industry a key driver of Alberta’s rural economy.